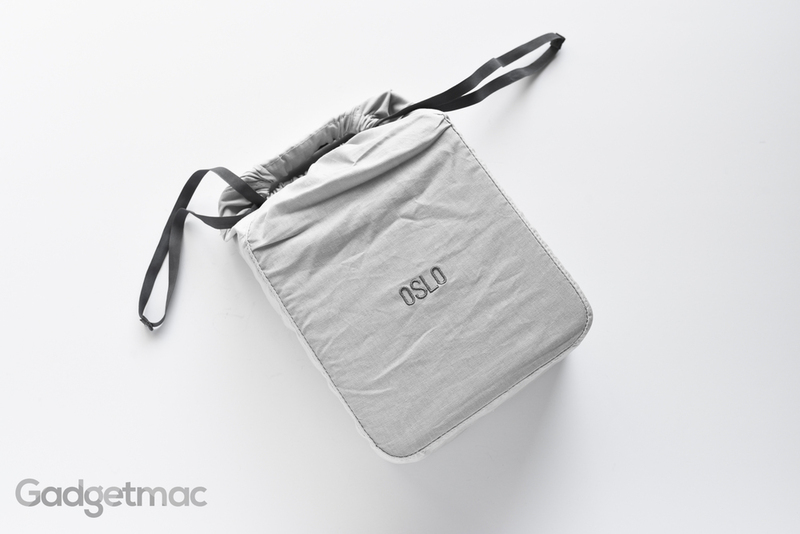 Before you even get to see the Oslo in all of its Scandinavian glory, it comes wrapped inside of this neat drawstring travel bag embroidered with the Oslo branding. 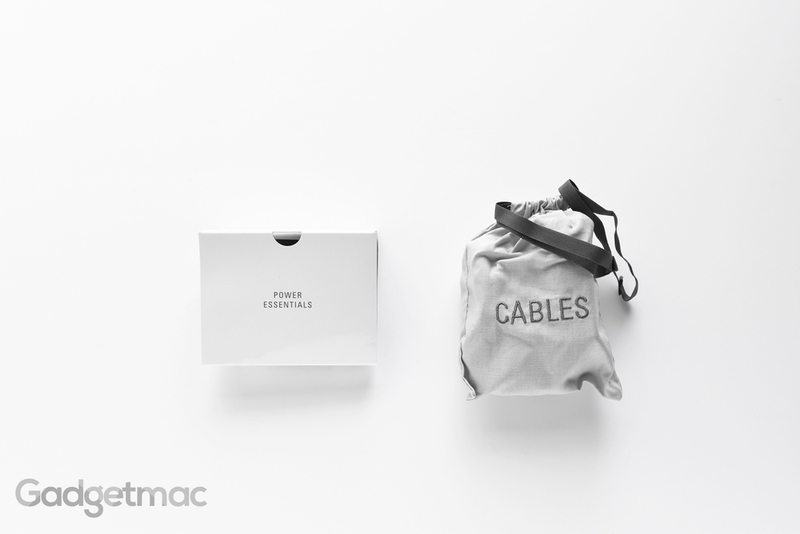 Deeper into the packaging you'll also find the Oslo's power supply/charger and a 3.5mm straight audio cable tucked away inside this matching drawstring pouch. 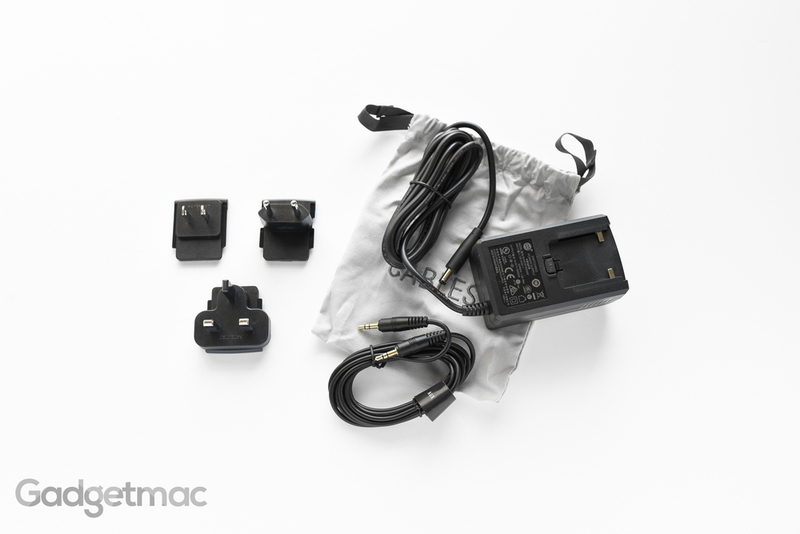 What's also included are three swappable socket plugs made for Europe, UK, and North America. The Oslo can be used everywhere around the world thanks to Vifa's considerate thinking. But we still wish it came with a standard USB charger instead of this wall charger. 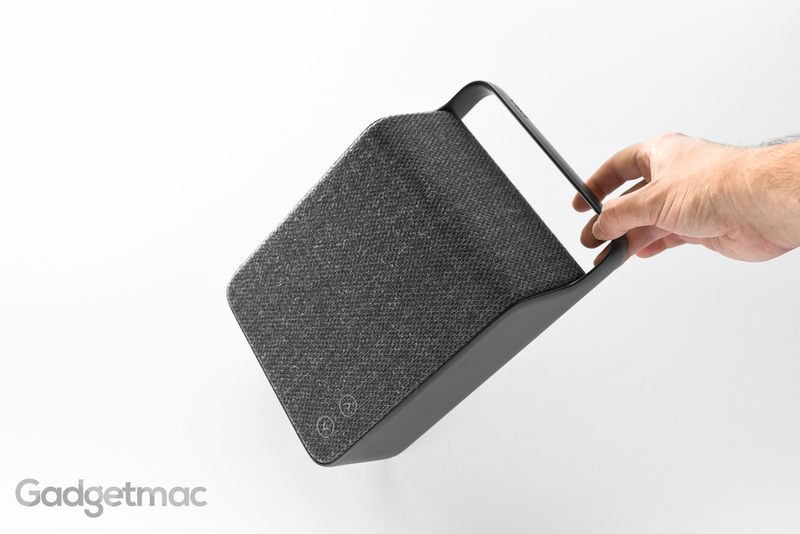 Much like the rounder Helsinki speaker, the minimalist front and back of the Oslo is completely covered with textile made by renowned Danish textile maker, kvadrat. The finish, texture and color is absolutely impeccable. There are no wrinkles or any defects to be seen. But unlike the more refined texture of the Kvadrat material used for the Helsinki, the Oslo shares a more rugged and rough-looking textured textile of the much larger Copenhagen model, which has a high-end bolder look to it that I think fits its utilitarian aesthetics perfectly. You can get the Oslo in various different colored textiles including this grayish black we've gotten to review, white, red, yellow, and dark blue and in light blue. As far as controls go, the Oslo keeps it very simplistic with only two volume up and down controls located at the front side of the speaker where they are seamlessly sewn into the fabric. 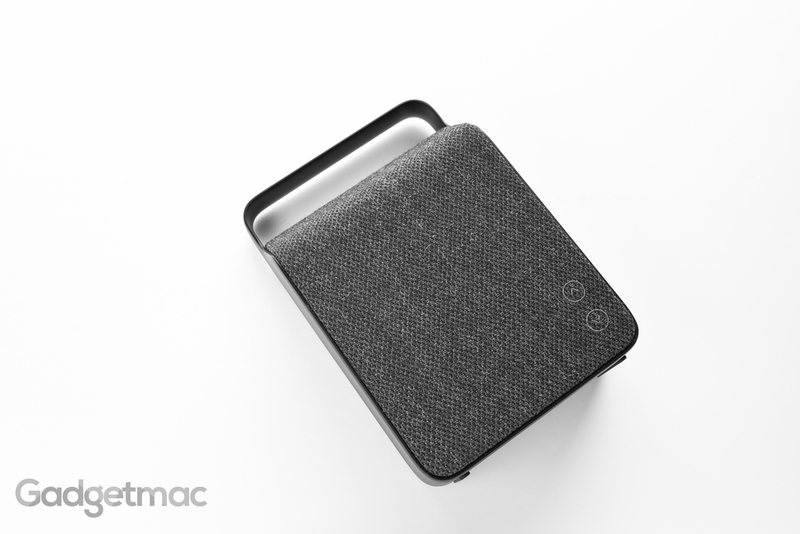 This is also an area where you can use an NFC device to tap and pair with the Oslo. Even though it’s not the smallest, weighs about 5 pounds, the Olso is still very much portable – more so than the JBL Xtreme. And that has mostly has to due with its ingenious built-in carry handle that makes up part of the Oslo’s incredibly solid build quality. The handle is made out of solid aluminum and is a one-piece, seamless design that makes up the outer frame of the speaker. 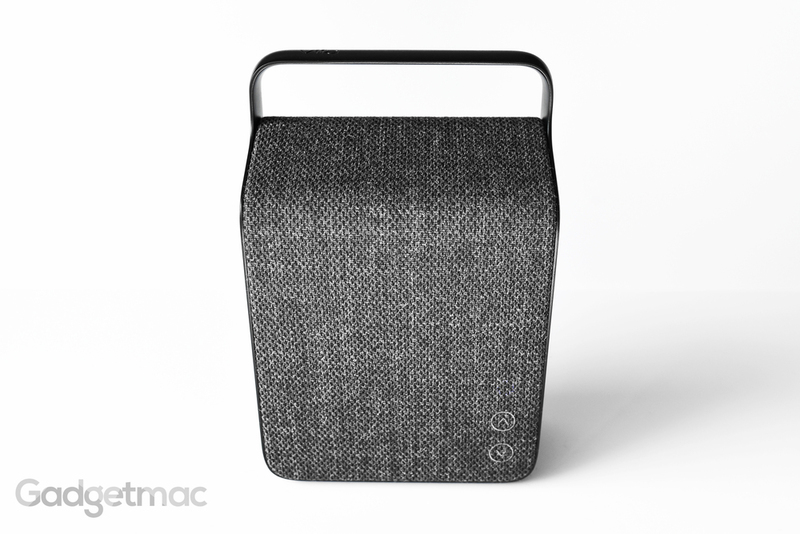 It’s the same exact design principal as the smaller Helsinki speaker, except the Oslo features a fixed aluminum carry handle instead of a removable handbag-like leather handle. And that was exactly the thing we weren't very keen on, the Helsinki's strikingly feminine styling. The Oslo on the other hand is Vifa's most gender neutral looking portable speaker yet, and we very much like that about the Oslo. 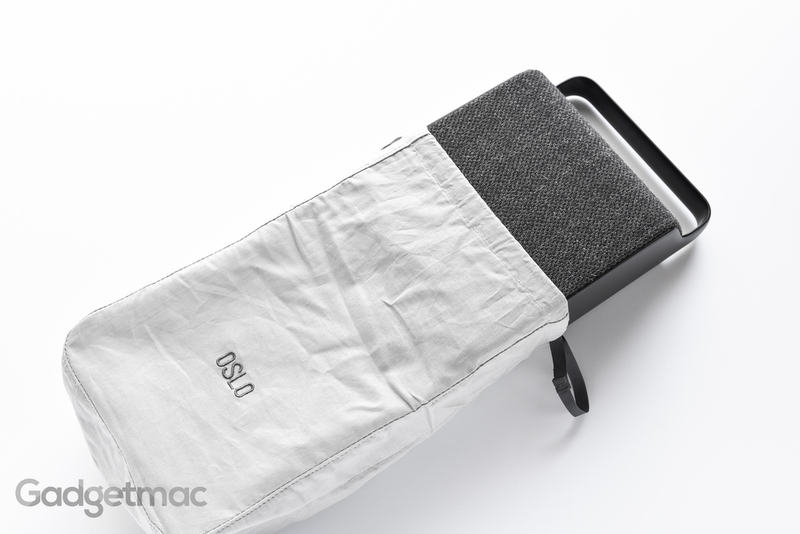 That tall and narrow form factor sort of reminds me of a lunch pack or a satchel type design. 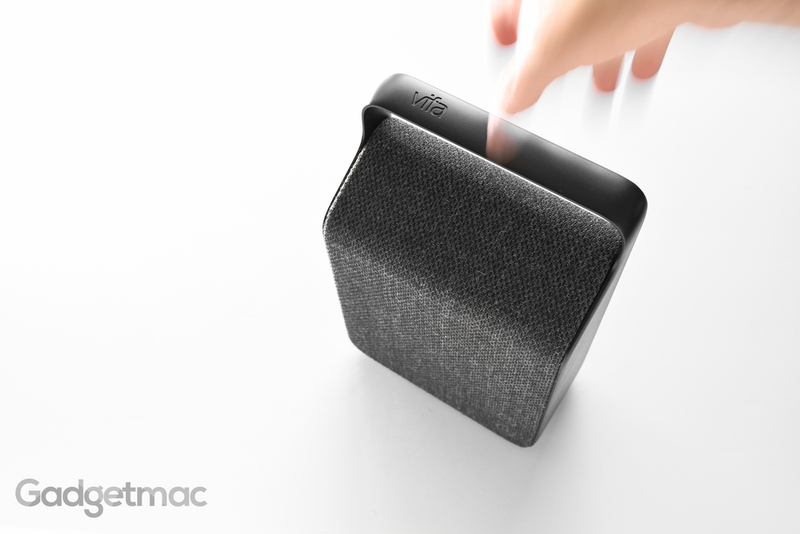 A very distinguishable design for a portable Bluetooth speaker indeed. In-between this svelte metal outer frame is a Scandinavian staple, a textile fabric made by Kvadrat that gives the Oslo it's warm, aesthetically pleasing beauty and rich premium quality. 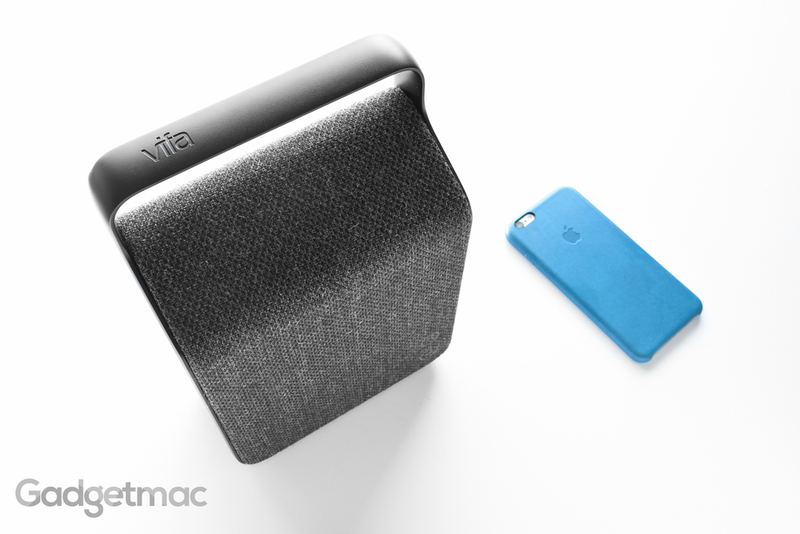 This material is the same kind of textile Vifa likes to use on all of its speakers, and I think that unlike traditional metal perforated speaker grilles, this fabric adds so much more interest to this gadgets that it becomes a part of your interior decor, almost like a piece of furniture. If you look closely you'll see a status LED ring illuminating behind the textile. The backside is where you'll find a multi-function power/Bluetooth pairing button alongside a battery charging status light. 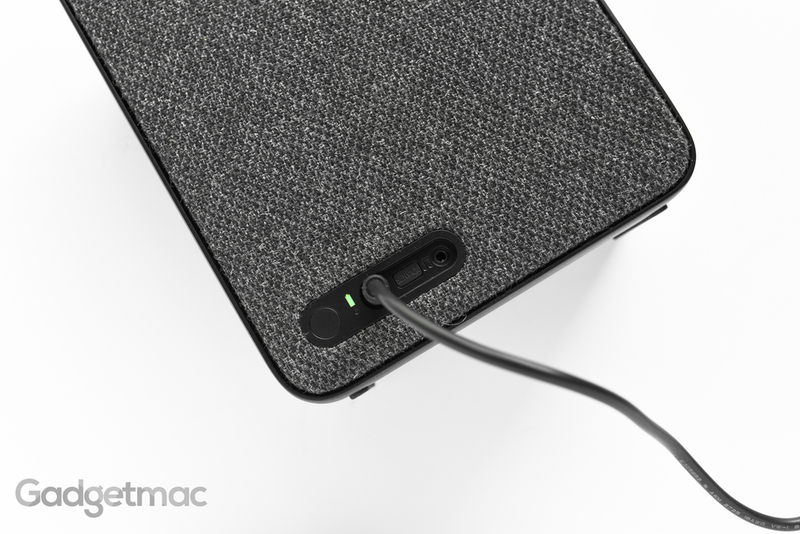 The Oslo can also be used in a wired mode using its 3.5mm audio input. Battery life on the Oslo is considerably better than the Helsinki’s 8-hour runtime. Vifa says that you can get up to 12 hours of wireless use out of the Oslo, but you’re mileage will vary depending on how loud you play your music. I’ve found that in my testing listening at medium volume, I would be able to get a reasonable 10 hours of use. This is by no means the best battery performance out of any portable speaker, but then again the Oslo is a very powerful speaker. Charging the internal battery takes around 4 hours and can only be done using the included power brick. While it’s true that both the Helsinki and Oslo share the same amount of drivers, six in total, apart from both having the same 50mm full range drivers, the Oslo does have larger woofers at 65mm (instead of 60mm) including larger passive radiators. 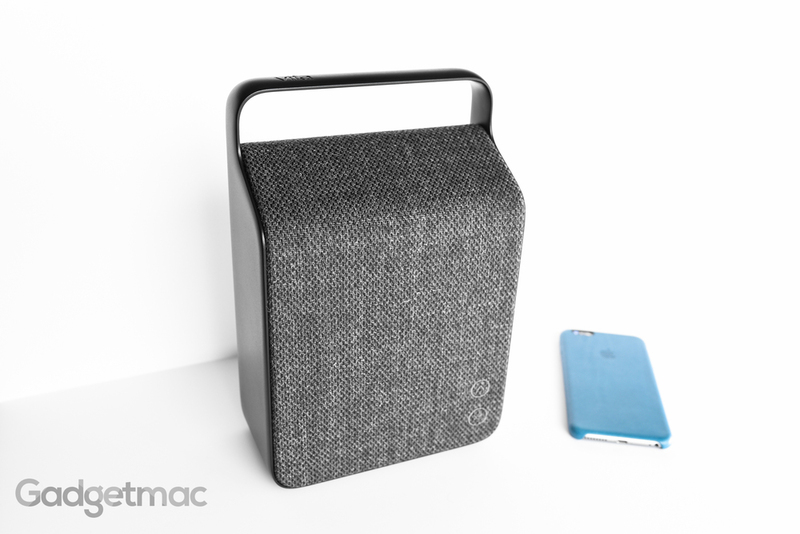 The Oslo’s bass performance will absolutely blow you and every other similar sized portable speaker away. Bass is amazingly thick and sounds like it's coming from a high-end speaker system rather than a small portable lunchbox. Bass aside, the Oslo produces pristine highs and detailed mids with loads of clarity all around. 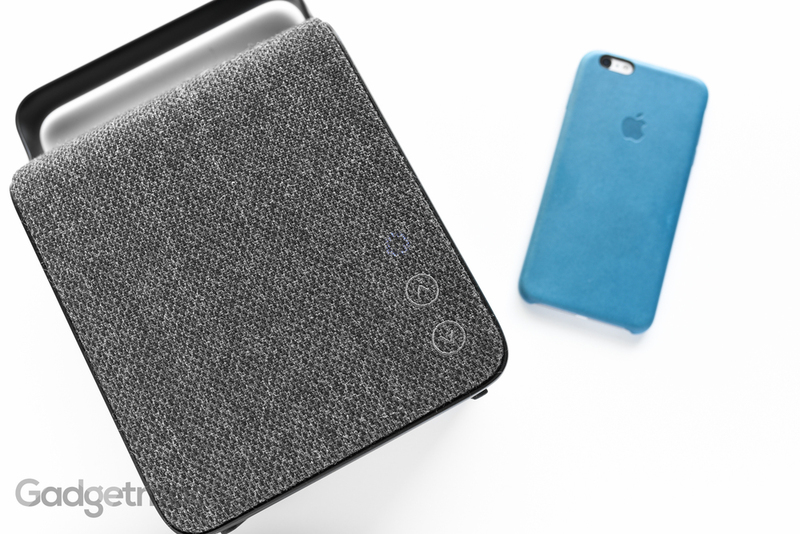 In other words the Oslo is one of the best sounding portable speakers we have ever heard. The only small downside to the Oslo's design is that sound is very one-sided, meaning the soundfield is narrower than other portable speakers with wider designed, which feature drivers that are more spaced apart such as the JBL Xtreme. Depending on where you are in relation to the Oslo, the sound characteristics will change. If you're right in front of it, you'll hear brighter highs whereas if you were to stand beside it you would hear more of the low-end bass and less treble. If you want to listen to music at very low volumes you can do so the right way by changing the tuning settings of the Oslo via the Vifa app. 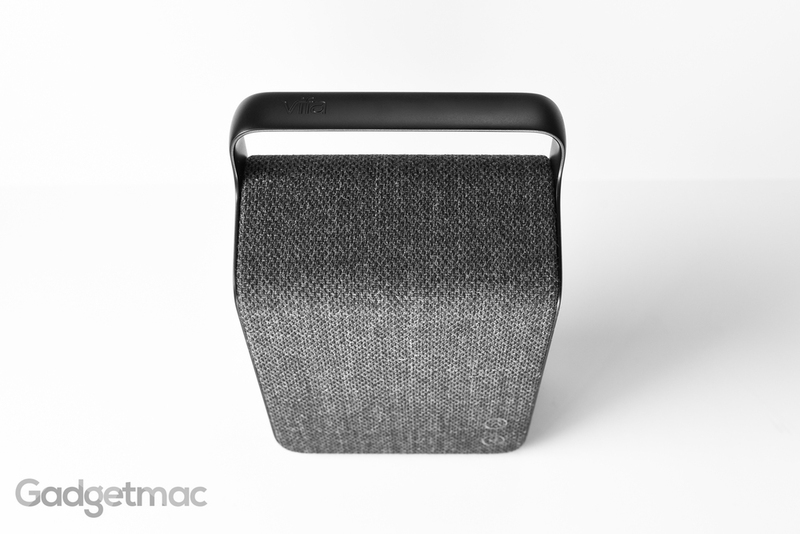 In "Late Night" mode, the Oslo will play richer sounding audio without having to raise the volume. It's amazing how great this optimization works. The audio that comes out at these low volumes is full, clear and is unparalleled by other portable speakers of this size. I wouldn't go as far as to say that the Oslo blows away the $300 JBL Xtreme as the two sound very similar, both are equally as loud, and both can easily dish out huge sounding bass with very clear sound quality, but the Oslo does indeed have a slight edge when it comes to detail in bass and in highs. And yes it does sound much better at very high volumes than the Xtreme. But is that worth spending an extra $250? Absolutely not. Which is one of the biggest reasons why we wouldn't highly recommend the Oslo at $550. It's simply too expensive. Not only is it not weather-resistant, it can't match the Xtreme's longer battery life. If you want a portable wireless speaker that sounds as big as the Vifa Oslo but can't spend as much for Danish design, then you'll be very happy with JBL's Xtreme. But if you're willing to spend that extra bit of cash for something a little more special, Vifa's Oslo is worthy of our general recommendation for a truly unique and powerful portable speaker. 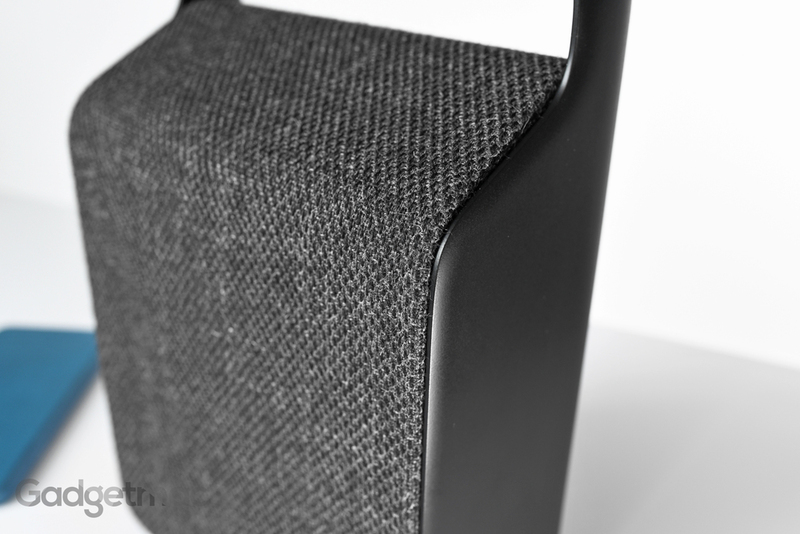 The Oslo is by far and away our favorite, portable high-end speaker.